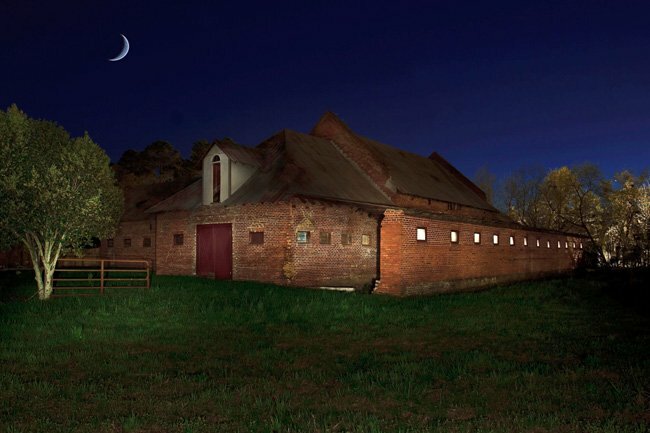 The Gaston Livery Stable in Aiken was constructed in 1893 and is made entirely of locally-produced brick. 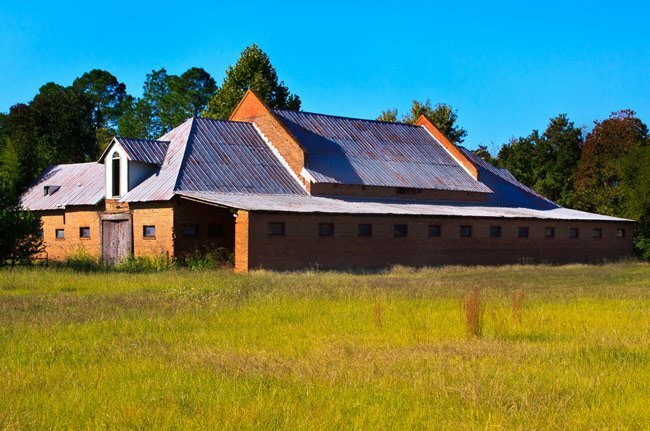 Of the five brick barns remaining in South Carolina, it is believed to be the oldest. The price of brick made the material cost-prohibitive in outbuildings; it is believed that a previous wooden stable burned and was replaced with one made of bricks because bricks are more impervious to fire. At two-and-a-half stories and 12,000 square feet, the livery stable is also one of only four barns in the country to still have an original carriage lift. The stable was owned by David Gaston, who rented space for owners to board their animals as well as their carriages. Carriages were kept on the second floor, where it is thought that a small repair center for carriages operated. Gaston also rented out horses and carriages, often to wealthy Northerners who owned second homes in Aiken’s Winter Colony. Many of these elite visitors were also active in the world of thoroughbred racing and polo, making Aiken the Horse Capital of the South. 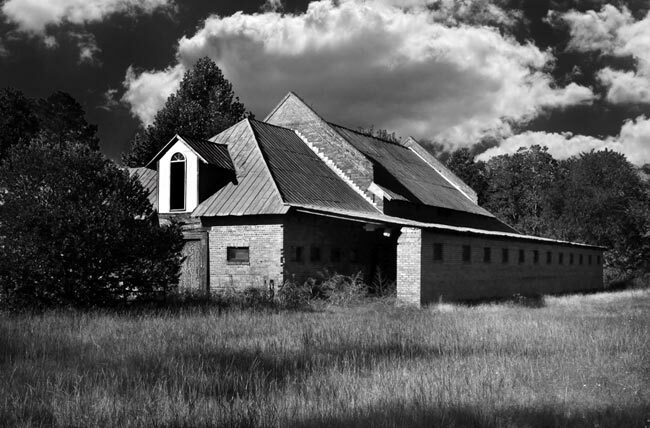 The Gaston Livery Stable remained active into the twentieth century, even after the automobile had become commonplace. In fact, the stable operated successfully until Gaston’s death in 1930. The stable and surrounding property have been handed down to Gaston family members over the years, with parcels of land being sold and the stable deteriorating as the decades passed. 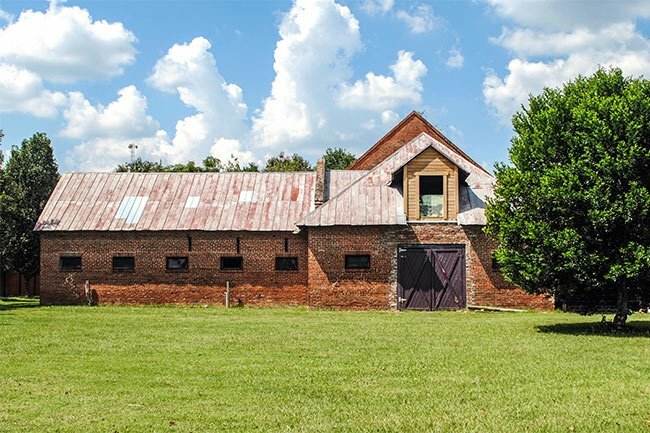 The stable is eligible to be listed in the National Register of Historic Places and in 2012 was designated an historical landmark in Aiken. Unfortunately, its eastern end is badly damaged. If it continues to deteriorate, the building’s structural integrity will be endangered. Thankfully, the non-profit organization Friends of the Gaston Livery Stable was able to acquire the stable and is working to repair it. Once the stable has been fully restored, there are plans to use it as a living history museum. SCIWAY thanks D.S. Owens of Aiken for much of the above information and the photos. 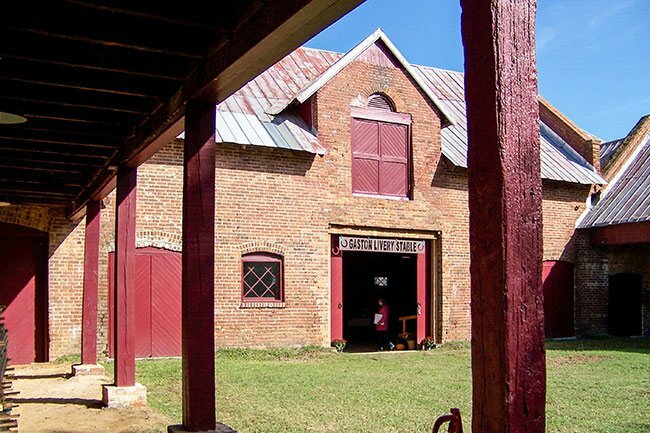 See a picture of the Abbeville Livery Stable, a brick barn located in Abbeville. This is an exceptional photo. Great job – it has my vote so far as one of the top ten on Sciway for the year.